Our theme for 2016 was ‘Being Culture Champions’. While HR doesn’t own culture (and many HR teams haven’t called themselves People and Culture because of this), HR Advisors play a key role in building the culture of the company. HR Advisors work most closely with line managers who have the biggest impact on employees - HR Advisors have a unique opportunity to role model the right behaviours and give advice and support that grows the right culture. So we wanted to start 2016 off with inspiration about how to build your culture champion skills, practical tools and techniques to impact positively on your company culture and workshops that cover off core HR skills so you can deliver the best HR you can. What happened at the HR Advisors Conference 2016? 9.15 - 10.15am: How HR Advisors can be culture champions! To start the conference, we’ll discuss what an HRA can do to build and influence their HR team and managers in the right way based on your values. 10.45 - 11.30am: How you can create a results focused mind-set in you & your managers. You’ll now learn some practical tools and techniques from a time management superstar! 11.30 - 12.30pm: 3 companies, 3 culture stories. This session will outline how different HR teams have worked through building culture in their businesses and their key learnings that you can use. 1.30 - 2.30pm: Change tools that you can use to create culture. In this session you’ll hear about low cost to high end change tools, how they’ve been used, what they work best for you and what might work for you. 2.30 - 3.30pm: How HR can build a productive & positive workplace. It takes more than a fruit bowl to mitigate biopsychosocial affects on productivity and in this session you’ll learn practical ways you can move from wellness to wellness 2.0 with your workplace. 4 - 5pm: Success & You: 3 Turbo Ideas: Becoming successful in your professional and personal life is not just a matter of working hard or being lucky. Success is all about how you think and how you go about things. In this session, we’ll explore 3 powerful ideas that are sure to take you from where you are to where you want to be. 5pm - Drinks and nibbles! 7pm - end of day 1. 9am - 9.45am: We start our morning off with an employment law update on legislation and case law changes that you need to know about so you get the foundations right! Workshop B: Learning & Development Plans. We cover easy ways to do a TNA and put a training plan in place and give you the chance to try out your L&D planning skills! Workshop C: Rolling out HR initiatives. Tools to use to get your intiatives to stick, including culture change! Workshop D: HR Metrics & Analytics. What to put in place for your business and how to develo the right measures. Workshop E: HR challenges clinic. Confrontational managers, work overload, queries with no right answer – this workshop will look at tools and techniques you can use to overcome HR challenges! Workshop F: How to deliver POW presentations. Whether it’s in a team meeting or to your management team this workshop gives you confident to present! 3.30 - 4.30pm: HR around the world! In this session you’ll hear from several HR people who have worked in different countries. They’ll share what it’s like working in HR overseas and what you should know if you ever consider it. 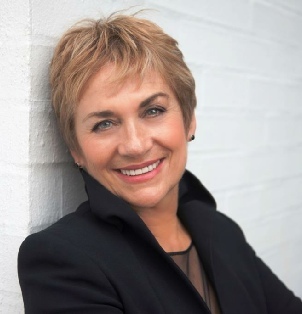 For the last 23 years Robyn Pearce (these days known as the Time Queen) has been sharing her experiences and knowledge about time management with countless clients and readers around the world. Author of eight books, many other products and thousands of articles, she regularly appears as a subject specialist on television and radio. She learnt her subject the hard way. Through the years of raising six kids, single parenthood and then a highly successful real estate career, time management was her biggest challenge. The good news is – she won, and now shares those lessons with clients, readers and listeners around the world. Robyn will tell you how to create a results focus for you and your managers! 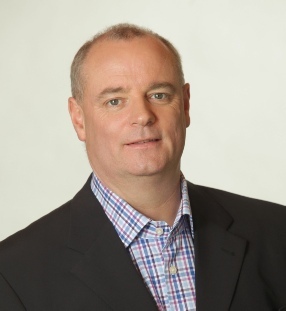 Dr David Keane is an international speaker, author, and coach who has devoted 25 years to helping create workplaces that bring out the very best in people both in their professional and personal lives. He is the creator of The Art of Deliberate Success workshop and coaching programme which has been delivered to over 2,000 people worldwide. The programme teaches what it takes to be extra-ordinarily successful and has been running for several years in organisations such as Deloitte, Downer Construction, Kiwibank, Transpower and many New Zealand government departments. In his most recent book, The Art of Deliberate Success: Transform Your Professional and Personal Life, David describes what it is that successful people do that others don’t. Amie’s career has taken her from NZ to the UK to Hong Kong. Her HR career started as HR Admin/HR Advisor at Bank of New Zealand before she became a Solutions Consultant. Shen then moved to the UK and worked for Thomson Reuters for several years as Senior HR Advisor, HR Implementation Partner and Global Sales Graduate Program Manager. In June 2013 she spent 18 months based in Hong Kong as HR Business Partner for North Asia. 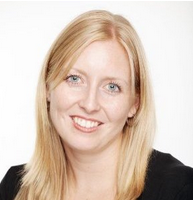 Amie is now back in NZ heading up HR at Lotto NZ and will share her learnings from a global HR career! 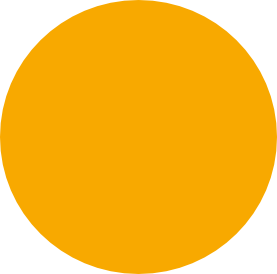 HR Business Partner, NZ Retail and Business Banking. During this time Brooke not only spent 2 years based in Manila heading the Phillipines HR function, but also volunteered 18 months to help at Iris Ministries Children Centre in Mozambique. 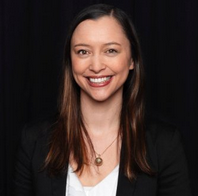 Brooke will be joining our panel to share what it’s like working around the world in HR. Anna leads a team of 60+ HR and Communications specialists, supporting the 12,000+ people working for the Warehouse, Warehouse Stationery, Noel Leeming Group, Torpedo 7, Financial Services, Sourcing Office, CES and Insights Brands in New Zealand and China. She is passionate about driving engagement through ways of working. The Warehouse Group has received numerous awards gained under her leadership, amongst these are the achievement as Best Retail Employer in multiple categories for multiple years, JRA best workplace and most improved workplace in the large company category, a Distinction award in the HRINZ initiatives category for the recruitment and induction programme and a finalist in the HR Game Changer Awards. Anna will share how to build a brilliant culture! With over 25 years in communications and marketing, predominately in business-to-business and services, Sharon has extensive knowledge of the creation of communications strategies and implementation plans that deliver results. Most recently, she has been working in change facilitation across a number of organisational culture change projects, which led to her most recent career morph into workplace strategy development and implementation. Sharon specilises in evaluation and development of workplace enablers that support an organisation's strategic objectives, highly effective engagement and change facilitation activities that lead to successful culture change and sound expertise in developing marketing strategy, and understanding of the communications strategic plans required. She will share the culture journey that Auckland Council have been working through. 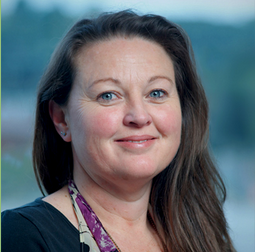 Emma joined LangtonHudsonButcher after 14 years with one of New Zealand's largest firms. She has considerable experience as counsel, trusted representative and advisor of a number of major national and international businesses and organisations. Emma is committed to providing commercially focused solutions to clients on all aspects of their employment law needs, from disputes, to transactional and strategic advice to agreements and policies. Emma is recommended in The Legal 500 2015. Emma has spoken at our last 2 HR Advisors Conferences with rave reviews. At Elephant we work with LHB because they understand the grey areas and specialise just in employment law. Emma will share an employment law update. Nikki has over 17 years of generalist HR experience working in diverse sectors such as health, engineering, utilities, retail and not-for-profit. Her experience includes working in HR within the US as well as NZ. Nikki has a Post Graduate Diploma in Human Resources from The University of Auckland and joined Elephant in 2012 as an HR Consultant and facilitator. She has run workshops at the HR Advisors Conference in the last 2 years with glowing feedback and will be back again in 2016! 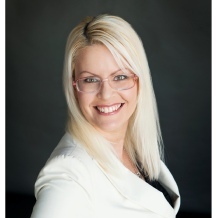 Lisa has worked in senior HR Manager roles for over 18 years within the public sector, tertiary and banking services sectors as well as having expertise in Kaizen (continuous improvement) from when she worked as a Kaizen Implementation Partner at BNZ. She joined Elephant in January 2009 and provides senior HR and business improvement consulting and facilitates both HR and management training. She has significant experience with change management processes and performance management systems. Lisa has a BA and Post graduate diploma in HR and is a Trustee for the Association of People Professionals. Linda has worked across a breadth of industries for 25 years and has heard on numerous occasions that ‘People matter’ yet has seen the incongruence that ‘People don’t matter’ for far too long. She has a background in industrial and organisational psychology and juggles her life between NZ where she works on organisational development projects; or running Just Workforce, a business focused on human factors, and China where she lectures in Human Resource Management and Organisational Behaviour to students who are intending to study abroad. Linda is concerned that we are creating environments opposite to what we intend and terminating people’s physical and psychological health through poor work practices. Yet, it’s in every organisations interest to have healthy workers. She will be sharing how you can build a culture where people really do matter - and it’s more than just a fruit bowl! Holly has been with Michael Hill for almost 5 years as HR Advisor. The Brisbane based HR team support both the Australian and New Zealand MHJ stores. Before that Holly contracted with BHP Biliton, and worked in HR roles in the UK at Thomson Reuters and Investec Asset Management. 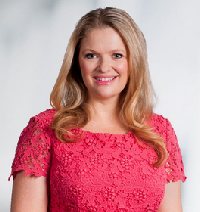 But Holly is a kiwi and started her HR career at Bank of New Zealand as a People Advisor. She has a BA in HR and Pyschology from the University of Auckland. Holly will be part of our panel talking about working around the world in HR! Jo is the Human Resources Director for Simpson Grierson. She started her career in law and was a solicitor before changing career path into human resources. Jo has held a number of senior roles in large corporates including eight years at Telecom as General Manager HR. Jo will be presenting about the amazing culture change journey that Simpson Grierson has been on. The law firm have won numerous awards for their HR initiatives including the EEO Trust awards, HR Game Changer Awards and more. Jo was recently interview by HRM Online. To have a read of the interview just click here. Kellie has an HR career spanning 17 years across a variety of industries – private sector, not for profit and government. She has held roles in Europe and NZ including HR Director for the Service Delivery arm of the Ministry of Social Development. 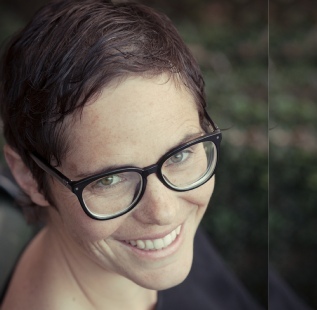 In 2014 Kellie attended Stanford University to study Design Thinking and is passionate about the difference this can make to HR practice and our community. Kellie sees this as a tool anyone can use to transform teams, process and culture. 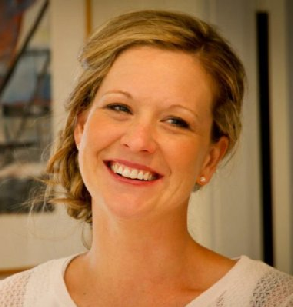 Kellie will be sharing her learnings from using Design Thinking - the good stuff and the challenges! 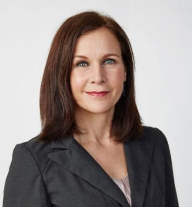 Leah HR career includes roles as Senior HR Advisor at Ministry of Justice, HR Consultant with Westpac, and HR Manager with AGITO. She has a Bachelor of Business Studies in HR Management from Massey University. Leah has been the GM People and Capability with the newly formed Primary ITO (which merged with 2 other ITO’s) for the last 3 years and has led the organisation through several culture and HR initiatives. She will be joining our panel to share her learnings on what HR can do to help bring new people into a culture. 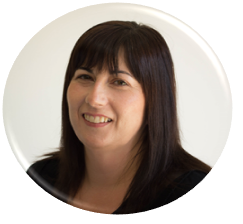 Angela has worked in HR and Learning & Development for 19 years within the local government, retail, tertiary and financial services sectors. She spent 8 years with Elephant as GM, Training and co-CEO. She still owns the business and helps with conferences and events. 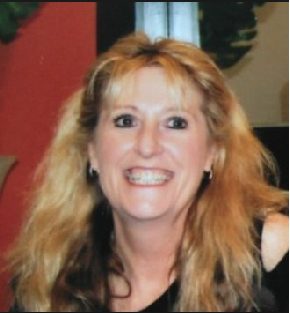 She is now the Director of Management Bites International and IndustryAssessments.com as well as being the best selling author of Management Bites, Employment Bites and Training Bites. 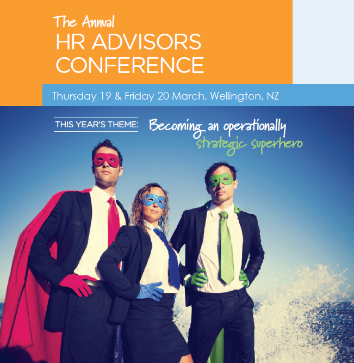 To read the HR Advisors Conference Blog just click here. To follow us on Facebook just click here. Our newsletter is loved because we pack it with case law, quizzes & tips - but not too much. To get a copy each month click here.